Working with live-edge wood is always exciting because no two pieces are the same. There are a lot of great uses for this particularly charming material, live-edge tables being perhaps the most popular type. 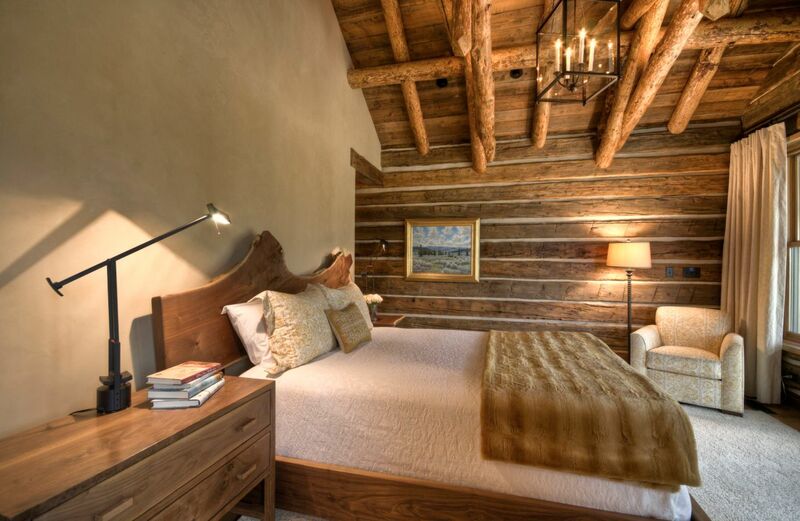 Today we’re focusing on another great design idea, this time involving live-edge headboards. We’ve compiled a list of inspiring examples for you to take a look at so let’s just jump into it. The first thing to notice in the case of this modern home is the nature-inspired interior design and the use of simple and basic materials in eye-catching and exciting ways. 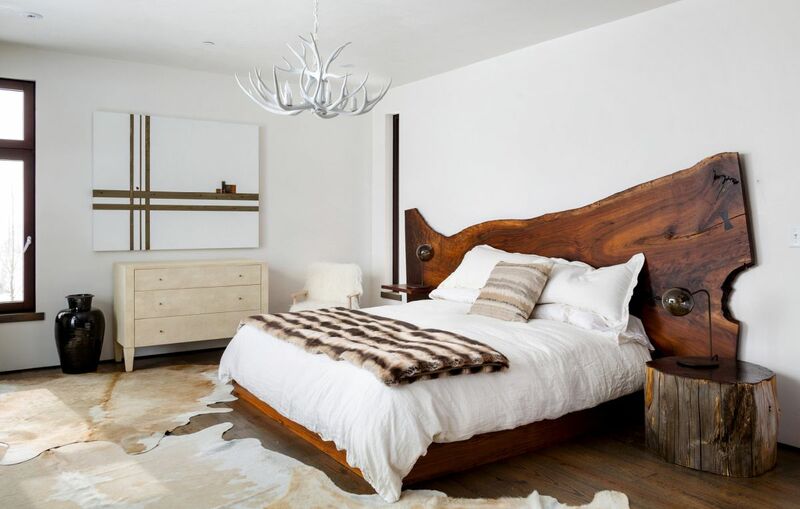 The live-edge headboard and three trunk nightstand go perfectly with the antler chandelier from the master bedroom. 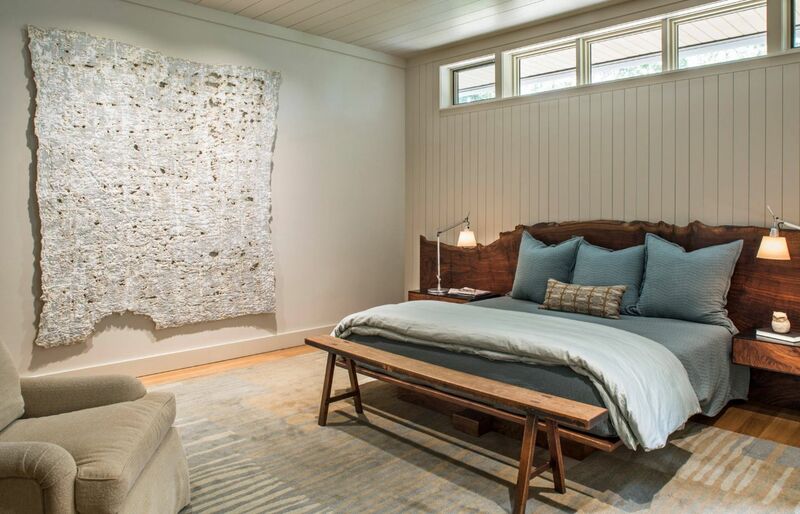 This charming bedroom designed by Miller-Roodell Architects Ltd takes full advantage of live-edge wood and its natural beauty to create subtle but at the same time powerful focal points throughout the room. The headboard is a central piece and together with the bench at the foot of the bed ensures a strong relationship with the view and the outdoors. 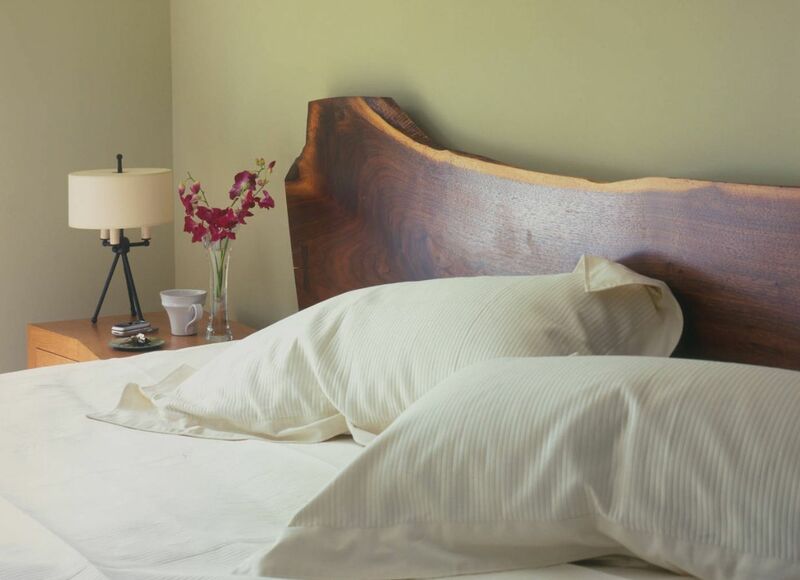 Live-edge headboards come in all sorts of shapes and sizes, each unique and beautiful in its own way. 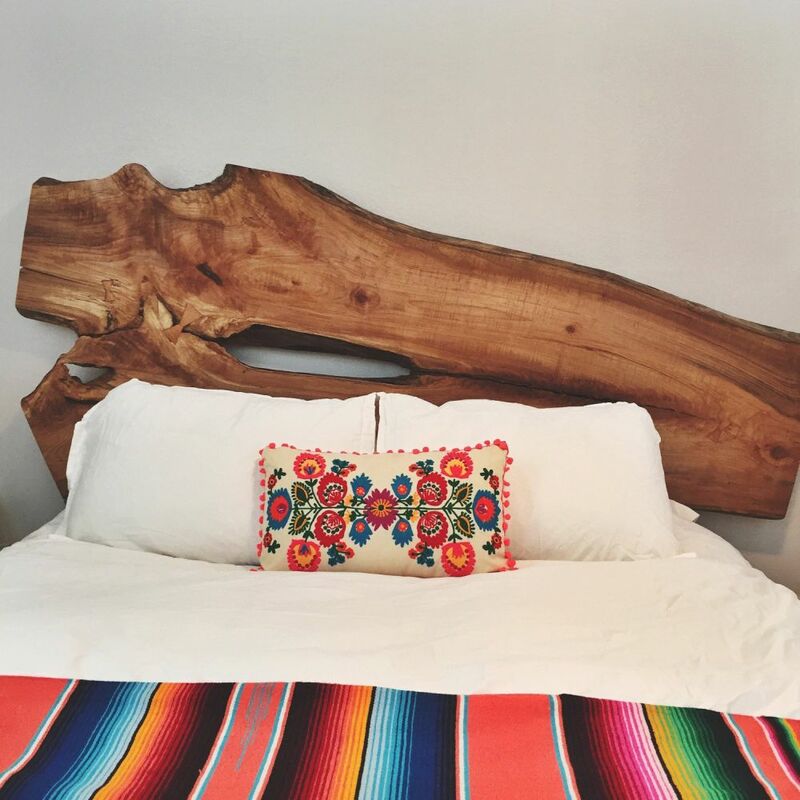 This walnut headboard from Etsy can be easily paired with a variety of different bed frames, nightstands and decors in general. It’s simple enough to suit a variety of styles and elegant and stylish enough to always stand out. 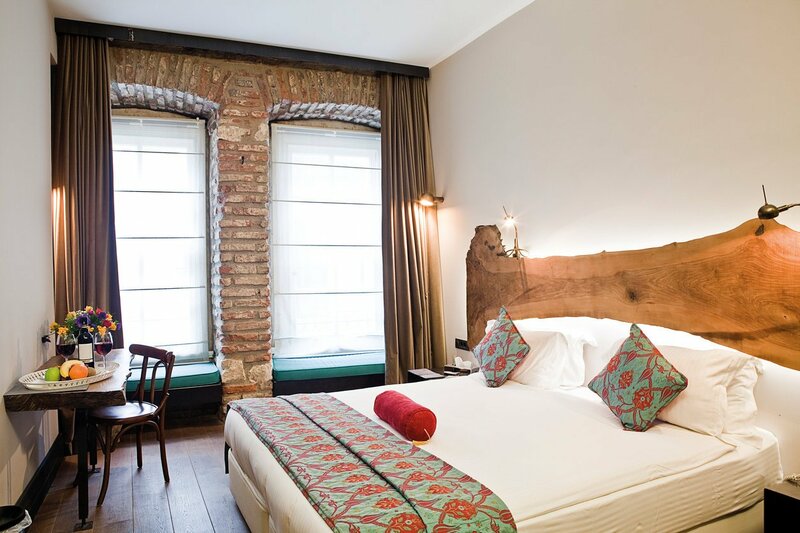 The live-edge headboard in this eclectic bedroom designed by Samsel Architects extends on either side of the bed to incorporate two floating nightstands. This gives the room a nice sense of cohesion and helps to maintain an open and airy ambiance in the room while also adding warmth and style to the space. 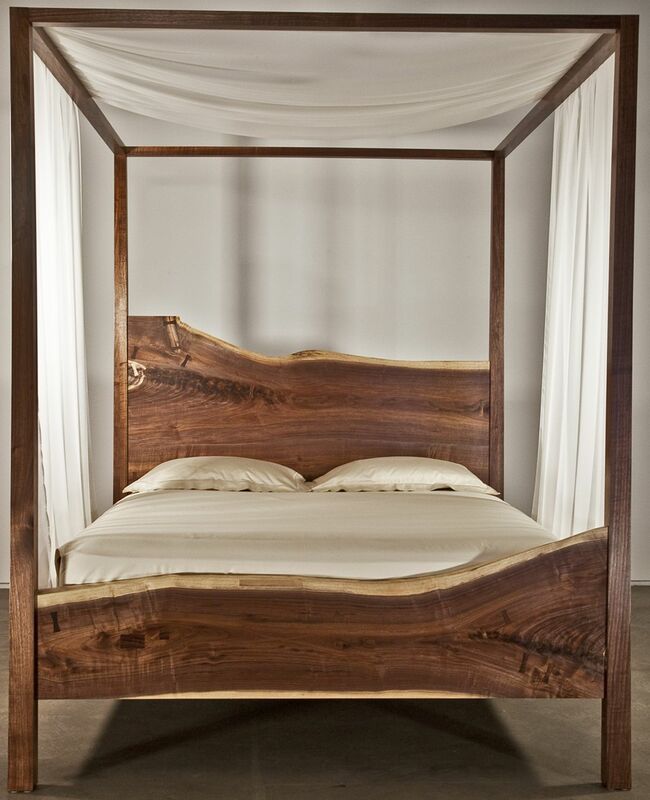 Although uncommon, it’s possible to have a canopy bed with a live-edge headboard. In fact, we have the perfect example: the series designed by Basil Bouris for Trace. The head and foot boards of this gorgeous walnut canopy bed take center stage, complementing the minimalist design just right. 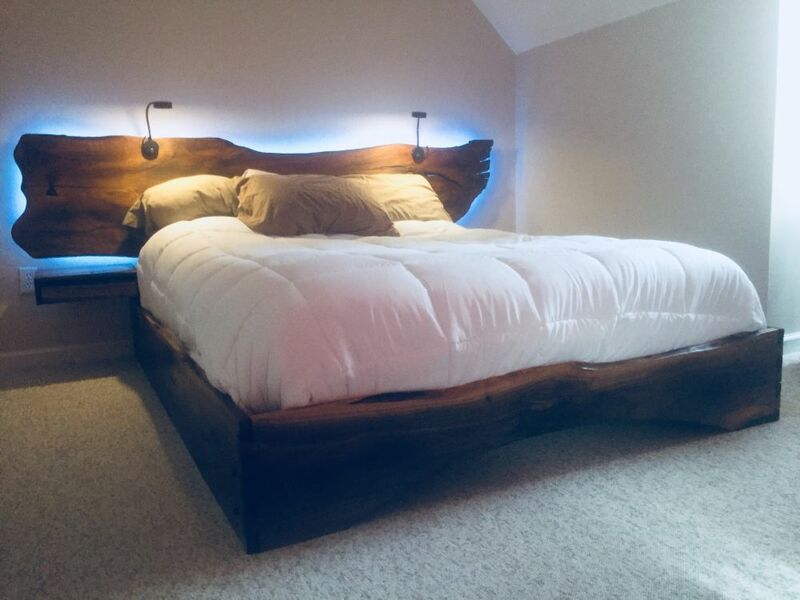 Each live-edge wood headboard is unique which makes custom orders highly dependable on all sorts of particular circumstances. Each one is crafted from a large wood slab and carefully detailed to suit each space perfectly. Check out Etsy for more details. 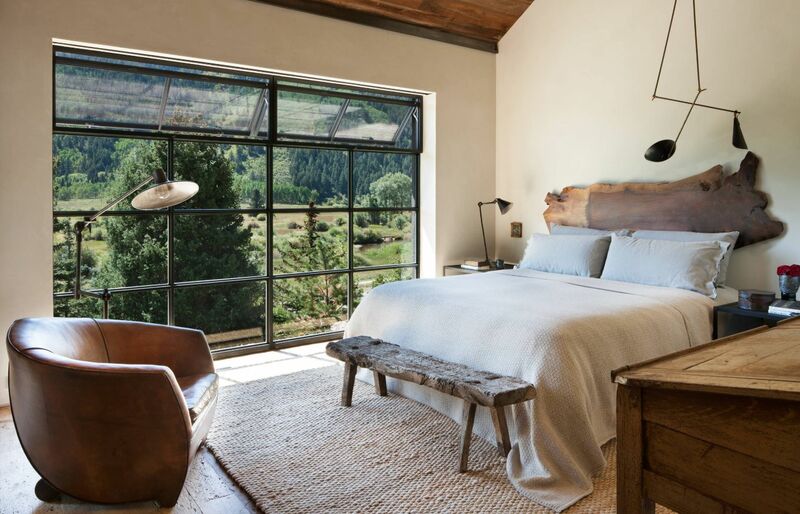 While a live-edge headboard can definitely help to make a bedroom look warm, cozy and a bit rustic, it’s not the only element which can have this effect on the space. As Laura Fedro Interiors shows here, it’s more about the ambiance and the way in which the headboard, the lighting, the ceiling beams and texture in general influence the room. It’s not just the headboard that’s interesting in this case but the whole bed. The frame is made of black walnut, the headboard is live-edge cherry wood and the floating end tables are a combination of these two. The LED accent lighting is a cool detail which makes the headboard stand out even more. Check out Etsy for more details about the design. 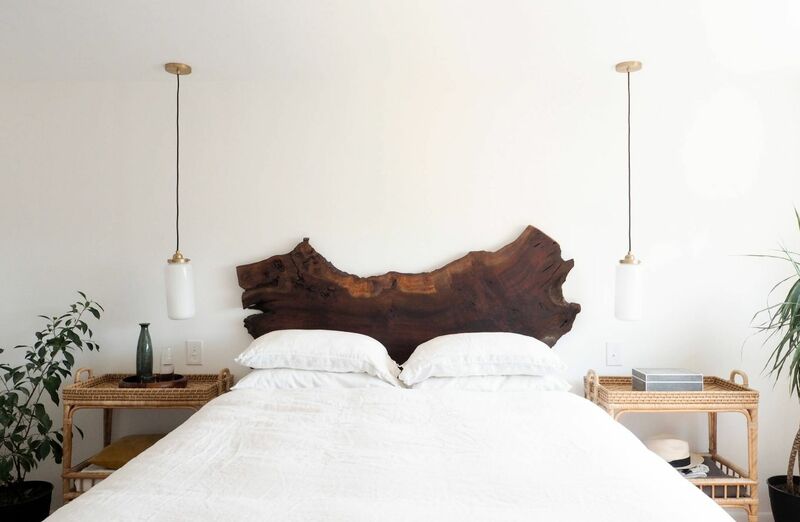 Depending on how much you want your custom-made live edge headboard to stand out, the design can either be simple with subtle curves or can get quite complex and sculptural. Finding the right slab of wood for each order is the first and most important step. Check out Etsy for details regarding the process. Speaking of sculptural headboards, check out this eye-catching example from a contemporary bedroom designed by Form + Field. 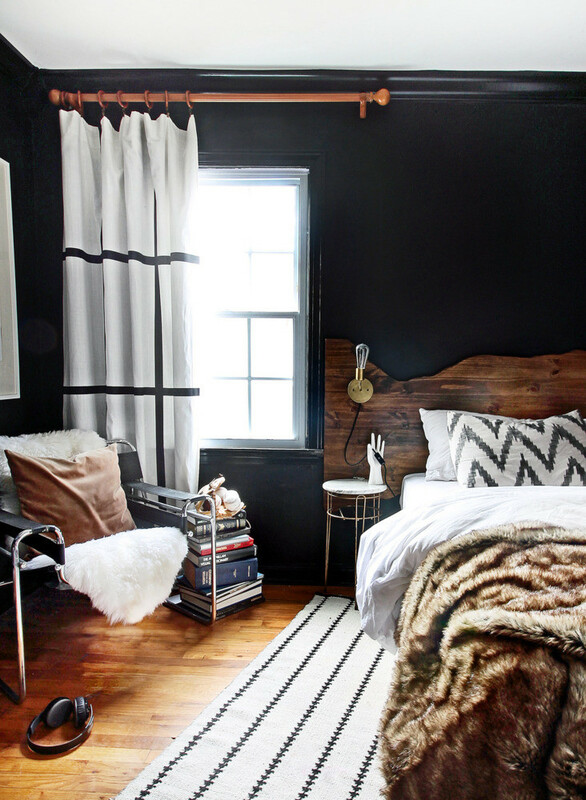 The headboard really stands out by contrasting with the while wall behind it. The hanging pendant lamps keep the design clean and simple which is also a lovely detail. It’s amazing how much little things can change the look and feel of a room. For instance, adding a live-edge headboard to a bedroom is an amazing step towards creating a fresh and sophisticated decor without much effort. Add to that a cozy new rug, matching curtains and a few other things and you have a complete makeover. Check out domino for inspiration. 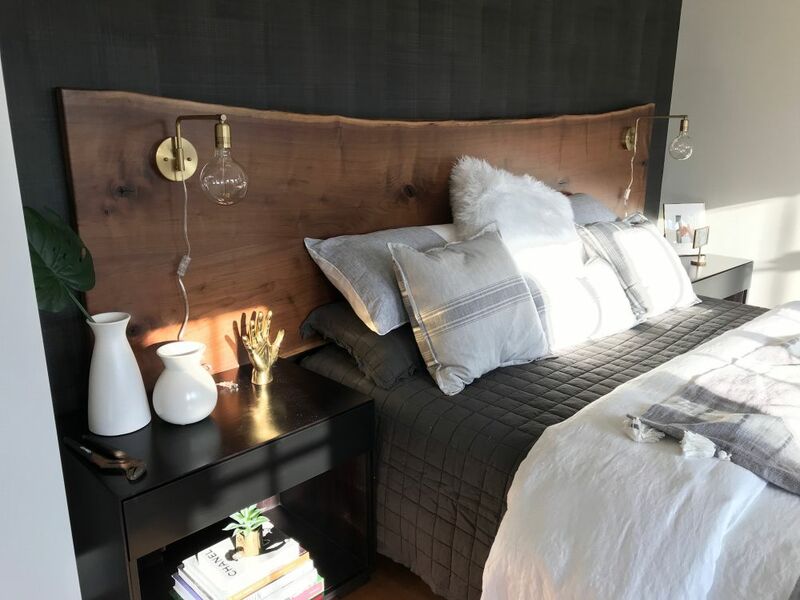 In addition to looking amazing, live-edge headboard present yet another advantage: they give us the opportunity to use reclaimed wood in our interior design and to give salvaged trees a second chance. Perhaps this can inspire you to look for more similar design ideas. Find out more about custom headboards on Etsy. 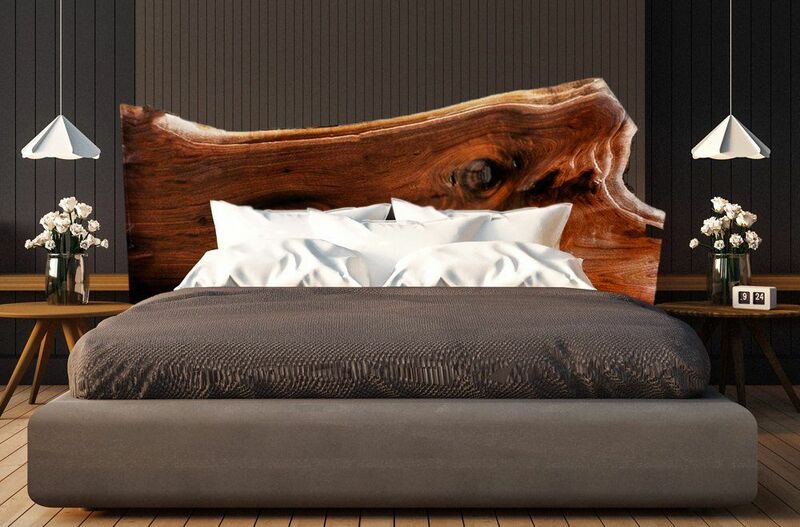 The post Live Edge Headboard Ideas That Celebrate The Beauty Of Nature appeared first on Home Decorating Trends – Homedit.